EES Consulting is a multidisciplinary management consulting firm that provides a broad array of economic, engineering, and environmental services to clients involved in electric power, natural gas, telecommunications, water, and other energy and natural resource-related businesses. EES Consulting has assisted clients in meeting the challenges in evolving competitive, regulatory and technical environments. Our economic and financial specialties include conservation, electric generation, alternative and renewable energy analysis (wind, solar, geothermal, biomass), electricity and fuel price forecasting, and any other demand or supply arrangements within utility business. Our engineering and environmental areas of expertise include hydro projects, dam design and safety, transmission or distribution plant systems analysis, planning and valuation, and GIS. Our broad base of clients includes utilities, regulators, associations and end users located throughout North America. EES Consulting is a registered professional engineering corporation with offices in the metropolitan areas of Seattle, Washington and Portland, Oregon. Our professional staff members have backgrounds in the areas of economics, finance, financial analysis, commerce, engineering, environmental sciences, regulatory compliance, public administration, operations research and corporate management. Public Utility District No. 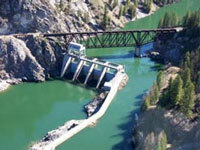 1 of Pend Oreille County, in Washington state, selected EES Consulting as the lead consultant for relicensing studies for the Box Canyon Hydroelectric Project. 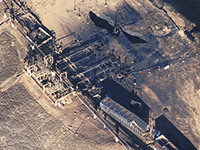 The relicensing involved numerous engineering and resource studies. EES Consulting staff members performed studies and managed and coordinated activities of consultants and subconsultants who conducted engineering and environmental studies for project license amendment and relicensing.